If you’re in the real estate or mortgage business, you may be wondering about the perfect closing gift for your client. There are many options, from new appliances to gift certificates for dinner, but a classic and thoughtful gift can be a nice arrangement of flowers. What better way to say “Congratulations,” “Good Luck,” and “Thank You” than sending flowers that will add to the beauty, and positive energy, of your clients’ new home. If you like the thought of your clients, your friends, smiling every time they see your gift, send them sunflowers. Yellow is a traditional color of friendship. 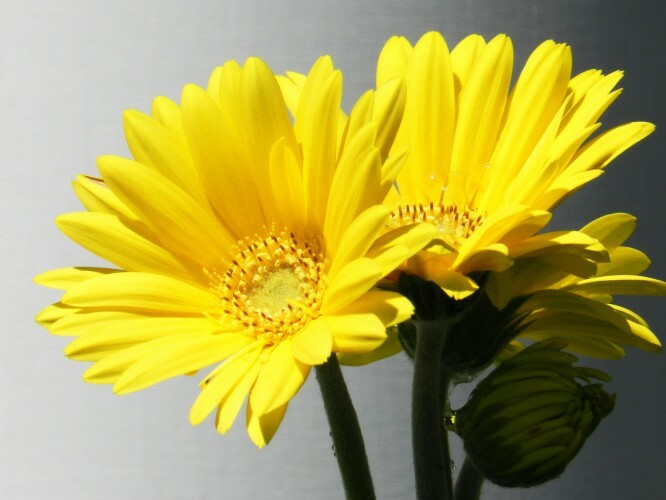 And suns, well they’re bright and cheery, which is something most people would want to experience in a new home. You can also send yellow roses. Or, send a bouquet of daisies to show your loyalty. To wish your clients “Good Luck” in their new home, send them a potted jasmine or bells of Ireland. You can also go with a bamboo plant, which is a plant that has a reputation for attracting wealth, health, happiness, and love. If you send bamboo, take note of the number of stalks on the plant. It’s said that the more stalks the plant has, the more fortune and luck will be bestowed. There are several flowers that convey a message of appreciation. These blooms will show your client that you are grateful for the opportunity to work with them and for their trust in your services. Great flowers to offer appreciation include radiant yellow tulips, warm peach roses, and joyful bird of paradise. There are numerous ways that you can use flowers to convey your message to your client in your closing gift. A couple of other options include sending purple flowers of any kind to say “Congratulations” or giving them Peace lilies to help purify the air in their new home. If you’re in the real estate or mortgage business, you may be wondering about the perfect closing gift for your client. There are many options, from new appliances to gift certificates for dinner, but a classic and thoughtful gift can be a nice arrangement of flowers.What better way to say “Congratulations,” “Good Luck,” and “Thank You” than sending flowers that will add to the beauty, and positive energy, of your clients’ new home.